On May 1st 2018 the city of Richmond will be joining several other communities in the state of Michigan that will allow golf carts to be used on public streets. For the last couple of years the State of Michigan has allowed communities with less than 30,000 people to pass an ordinance that allows golf carts to be on public streets provided that the street has a speed limit of 30 miles an hour or less. 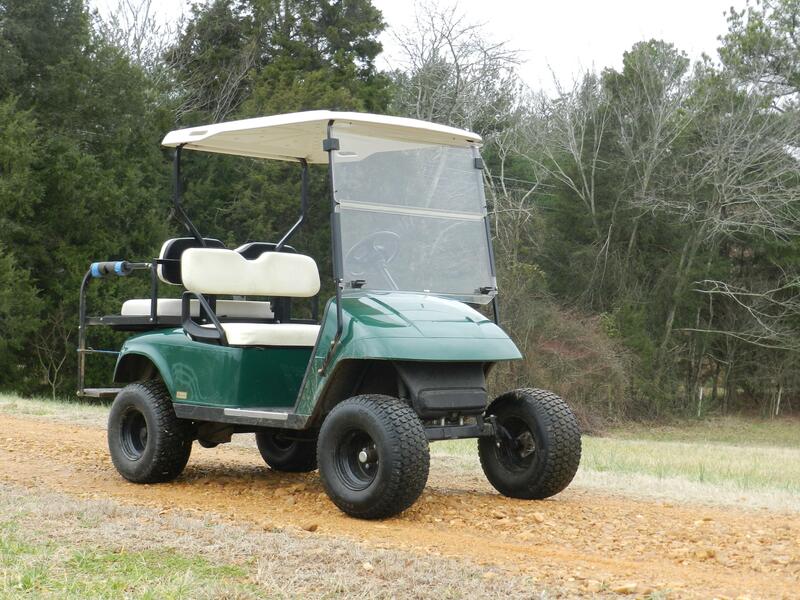 In order to register your golf cart with the city of Richmond,you will need to provide them a certificate showing that you have liability insurance. So which one of your insurance policies will this liability coverage come from? In most cases it will come from your homeowners policy. When you are up late at night and can’t sleep, I would recommend reading your homeowners policy. You will find it mentions liability for golf carts and or recreational vehicles in a few different areas. While each company’s policies may vary slightly, the vast majority of them will exclude liability from a golf cart or a recreational vehicle while not on the insured’s property. In other words if you are driving a golf cart, a four wheeler or a snowmobile on property that you own and someone is injured, your homeowner’s policy will in fact provide liability coverage. But the moment that you cross the property line and enter property that you do not own the liability coverage ceases. There are options with most companies to add this coverage so liability will follow you wherever you zip around on your golf cart. The cost could range anywhere from $25 to $95 per year depending on the company you are insured with. If you own a golf cart or a different type of recreational vehicle, it is important to add this liability to your policy regardless if the city of Richmond or any other municipality is requiring it. As an Insurance Professional, I usually rely on some worst-case scenarios to explain why a certain coverage is important. After all insurance is most important during the worst times of your life. By adding this extra liability coverage, we are protecting you in the event that you are sued and found liable for bodily injury to another person or property damage. So let’s look at a couple of examples. Your son or daughter has a few friends over in the winter time. They decide to fire up the snowmobile and hook a sled to the back. They then take turns pulling each other around. After three or four laps around your tiny boring yard they noticee that the neighbor’s yard has a great big area with fresh powder. They decide to take a loop around the neighbor’s yard. Unfortunately they forgot that your neighbor has a great big rock that is covered up with all that fresh powder. As they turn the corner the sled speeds up and hits the Rock. The occupant of the sled, your son’s friend, hits his head on the rock and suffers a severe concussion. 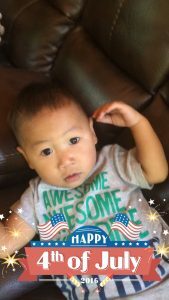 He is taken to the hospital and has several tests and unfortunately has to have surgery. A few months later you receive a letter from an attorney asking you to provide your homeowners insurance information. Because the incident took place off of your property if you do not have this extra endorsement on your homeowners policy, instead of your homeowners insurance company hiring an attorney and defending you in the lawsuit and ultimately paying if you are found liable, you would be hiring your own attorney and paying for it out of your own pocket. I can guarantee that it will cost more then it would have if you would have added the endorsement. Another scenario that could happen while your son or daughter are riding on the neighbor’s property is they could hit the neighbors well head with the snowmobile. The cost to repair the well would be covered under the property damage of your policy if it is properly endorsed with the recreational liability coverage. Now let’s talk about golf carts city streets. What could go wrong? Unfortunately I see several things that could go wrong but that may be the topic of another blog… The most obvious thing that could go wrong is an incident where a vehicle in a golf cart collide. In this situation depending at who is at fault in the accident the golf cart owner may have a liability exposure. Just like in a car on car accident, the police will investigate and assign blame. If the golf cart owner is found at fault and there is a serious injury involved, once again the letter will arrive asking you to provide info on your homeowners policy. The main point is the only way the auto insurance no fault PIP coverage will kick in is if there is a vehicle involved. if your passenger just falls out of the golf cart and is injured but no vehicle is involved he or she will have to utilize their personal health insurance coverage or hire an attorney to pursue a lawsuit against the owner of the golf cart. If you own a golf cart or recreational vehicle please give our office a call so we can make sure you have the appropriate coverage for when that vehicle leaves your property. April showers bring Mays Flowers! What does the May flowers bring?? They bring a lot of people getting their summer toys out of storage. When the weather breaks in May and you get that first nice 70 degree weekend day, the boat, four wheeler or the motorcycle maybe calling your name from the garage. The first thing you think about is probably not going to be calling your Professional Independent Insurance agent. I mean what fun is that? You need to get to the lake, or the trail, or downtown on the moped. Unfortunately jumping out to have fun without calling your agent first could have dire consequences. Not all toys are automatically covered under a standard homeowners or auto insurance policy. The good news is, coverage for most of these things is very inexpensive. The thing that we see that worries us the most, is someone who has a very inexpensive boat/ 4 wheeler/ motorcycle/ moped. In their mind they do not care about the insurance. If you only paid a few hundred dollars for it why worry? The worry comes in the play if you are in an accident and someone is injured or you cause damage to someone elses property. That $200 moped that you got from the thrift store could cause you to lose your house if you do not have the correct liability insurance. You may want to move the last item to the top of the list! We get asked this question often. I mean a lot. I mean almost every day. Seriously, its like Groundhog day. I really can’t blame people for asking though. It is super confusing. There are all kinds of values floating around out there and depending on what context your discussing your homes value, will depend on which value you will refer to. The Assessed Value of your home is the amount that the Tax Man will use to determine how much you will pay in property taxes. Most communities will “Assess” your home each and every year , and base your taxes on the amount they calculate. Most municipalities will then take that assessed value and multiply by 50% and report it to you as the SEV (I think they like to confuse people!). In a perfect world the assessed value should be very similar to the market value. Although with the lag time of the assessments and only being done on an annual basis these numbers could vary. The Market Value of your home is the price that your home would fetch in the open marketplace. Not what your real estate agent tells you it is, but what it will actually sell for! Here in Michigan this number has been on a roller coaster over the past 15 years. There are houses here in Richmond that over the course of 15 years the market value has fluctuated from a high of $150,000 in the early 2000’s to a low of $40,000 in 2008-2009, only to rebound back to near $150,000 today! The Replacement cost value of your home is the how much it would cost to replace your home with materials of like kind and quality today. Although this value tends to change over time it usually does so more slowly than either the assessed value or the market value. In order to come up with a accurate replacement cost we need to gather some detailed information on you home. Square footage only doesn’t cut it. As you can imagine there would be quite a difference in replacement cost on a 15o0 sq foot ranch if it had exotic hardwood flooring instead “Lick and Stick” vinyl squares for flooring. How much should you insure your home for? Which valuation to use? We always use the Replacement Cost Valuation as the amount of coverage to insure the home for. The premise of insurance is to “Make you whole in the event of a loss”. The only way to do this is to have enough coverage to rebuild you home with materials of like kind and quality. If we were to use either of the other two valuations their would be a good chance at the time of loss there would not be sufficient coverage for you to rebuild. How do we come up with what the Replacement Value should be? If someone tells you that a rule of thumb for replacement cost is $100 a square foot (or $125, or $150, or whatever the number of the day is) DO NOT TRUST THEM! We are talking about probably the biggest asset you will ever own. The replacement cost varies greatly based on the materials of used on the home. Here is a visual of two 1950 square foot houses that will show why the “X” amount per square foot method is a bad idea! 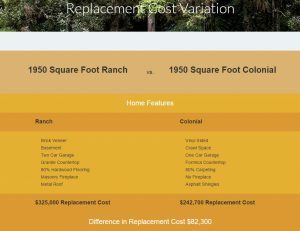 Here is a quick view of the Replacement Cost for two different 1950 square foot houses. As you can see not all 1950 square foot houses are created equally! If you were the owner of the ranch and your Insurance Agent used the $150 per square foot method to decide how to insure your home for, I would imagine if you had to rebuild you wouldn’t be happy with your crawl space when you were used to a basement. We have access to a sophisticated software program to help determine the correct amount of coverage for you home. It is very detailed oriented. We start with the home style and construction type and go all the way thru down to the type of flooring and even the size of any decks you may have attached to your house. There are also some free sites out there that you are able to do the same thing for. One of them that I have found is pretty easy to use can be found here http://www.building-cost.net/Valuation/Start. Have you made major changes to your house? If you have made major changes to your house over the years and have not discussed these with your Insurance Agent, now is the time!! Depending on the type of home improvement that you have done you may find yourself under insured. If you are thinking your coverage may not be correct it is time to give us a call. Be ready to answer a bunch of questions and we can get that coverage amount adjusted correctly! Congratulations to Brian and his wife Jessica as they welcome home Haylee Mae who was born on Friday February 24th, 2017!! Jessica and Haylee are doing great! Big Sister Layla and Big Brother Keegan are happy to have a new sister! The rest of us at Verlinde Insurance have been trying to pick up the slack while Brian spends some extra time at home this week with the new addition! I have water in my basement! Am I covered? Just what you don’t want to hear. Dad: Susie, will you run down in the basement and bring me the crockpot? Susie: DAAAAADDD!! Our basement is like a swimming Pool!! Depending on where the water came from, will determine if you do in fact have coverage for the loss. 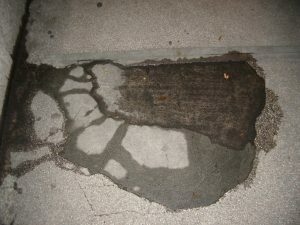 When water makes an unwelcome appearance in your basement it is usually from one of four sources. If the source of the water in your basement is from a plumbing pipe that is inside your house, your homeowners policy will respond. You will have coverage for both the dwelling (floor coverings, drywall, furnace, water heater) as well as your contents (boxes, PlayStation, furniture). For this type of loss there are no special limits on the policy so you will have the full amount of dwelling and contents coverage that are listed on your policy available to you. This is the most frequent loss that we see. Water comes up thru the basement drain system or overflows from the sump pump crock. Unfortunately sump pumps do fail. They typically only last three to five years. A standard homeowners policy excludes coverage for this type of loss. In order for their to be coverage you have to have an Endorsement on your policy and yes it does cost a bit extra. When purchasing the Back-up of Sewer and Drains endorsement you choose the amount of coverage that you need. The cost can range from $12-$20 per thousand dollars of coverage per year ($5000 of coverage would cost between $60-$100 per year). When choosing this amount be sure to keep in mind not only the cost of flooring, drywall, and your belongings but also the cost to adequately dry out the basement correctly (Which can cost $5000-$7500 alone). From time to time we do see this unfortunate loss. Water has found its way into your basement by seeping thru the basement wall itself. Most homeowners policies will exclude seepage. There are steps you can take to avoid a seepage problem. Make sure the ground around your home is graded correctly to divert water away from the exterior walls of your home. Keep gutters clean and operating properly. A standard homeowners policy excludes water damage caused by surface water. 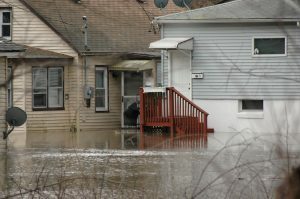 Depending on the circumstances there may be coverage if you have a separately purchased flood policy. For a flood policy to respond the surface water has to be a temporary condition where 2 or more acres of normally dry land or two or more properties are inundated by water or mudflow. 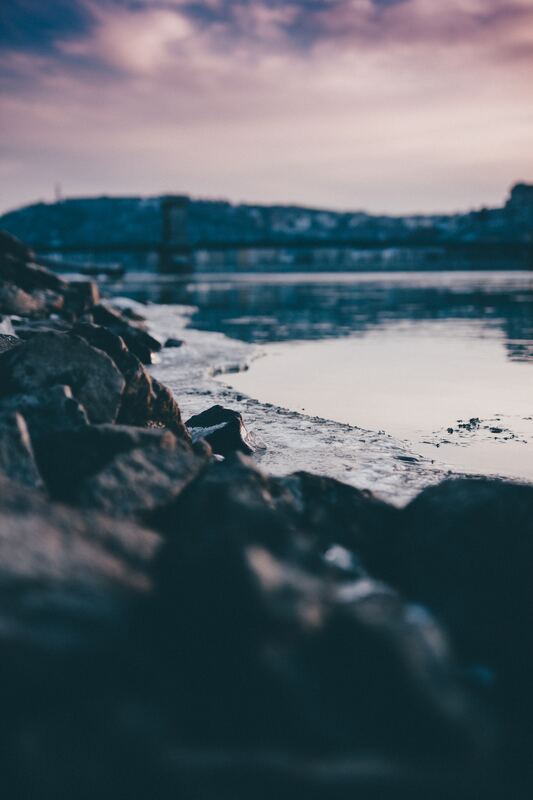 The cost of the additional flood policy can vary greatly depending on the location of your home and almost impossible to give a ballpark cost without a conversation with your agent. You can find more info on the National Flood Insurance Program by visiting floodsmart.gov. After determining if the damage is covered or not the next step is to start the repair process. We highly recommend getting a professional restoration company to start the drying out process as soon as possible. 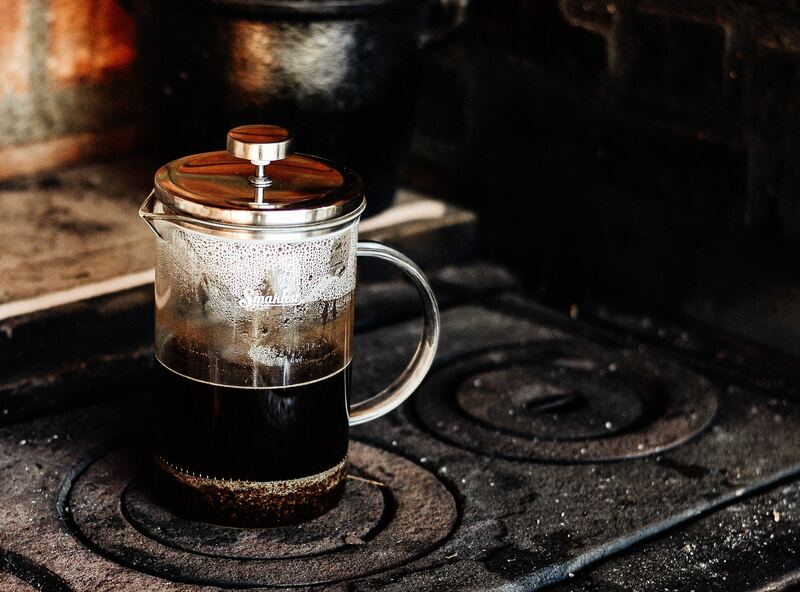 Although the process isn’t inexpensive it can save you in repair costs and they can typically save a lot of your contents by professionally cleaning. These companies have powerful extraction equipment, industrial fans and dehumidifiers. We recently had a client try to dry out their basement with a shop vac and fans for three days and was making little headway. After three days they started noticing a smell. The professionals were called in and the home was dry within 24 hours. When storing your belongings in the basement we recommend using Rubbermaid totes in lieu of cardboard boxes. With just an inch or two of water a cardboard box (and its contents) will be ruined. A Rubbermaid tote will withstand a lot of water. 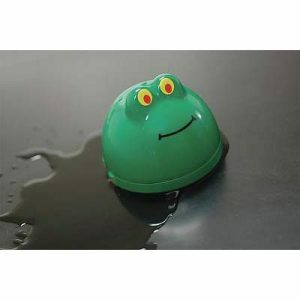 Another product that we love is “Leak Frog” water alarm. Place a couple of these cute little frogs in your basement and at the first sense of water they will set off an alarm that you can’t miss! You can purchase them from Amazon here. If you have any questions or comments at all please comment here, reach out to us by phone/email/facebook/smoke signal…. Oh wait. Not smoke signal. We don’t want to discuss how your home is covered for fire! 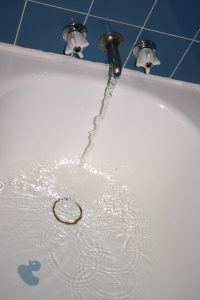 Over the past week I have twice absentmindedly left the water running at our house for an extended period of time which could have caused a major water damage claim. The first wasn’t a big deal. Tossed the hose into the pool to top it off. Told myself to turn it off in about a half hour. Well about three hours later I had that “Oh No!” thought and sure enough the pool was actually overflowing. Really no harm done. The second time could have been a disaster….. This is where Tatum Verlinde enters into the story. Tate loves to Swim! Unfortunately from time to time he also likes to crap himself while wearing a swim diaper. We had people over for a BBQ over the Fourth of July weekend and Tate had a little accident so i took off his swim diaper, rinsed it with the hose and took it into the laundry room. I tossed the diaper into the laundry tub, put the plug in, dumped a little bleach and turned on the water. Being too impatient to let it fill up I walked out of the laundry room to do who knows what thinking I’d be back in two minutes to turn the water off. Well I got sidetracked (Look a squirrel! ), and didn’t return. Probably five minutes later Noah, our oldest comes running into the backyard telling me that the laundry tub was overflowing and he turned off the faucet. Disaster avoided! If Noah wouldn’t have been in the house and paying attention we could have had a major problem on our hands. Over the years we have had several major water damage claims on houses. Some were due to situations like I explained above. Some have been from burst pipes. Water damage caused by any of the situations mentioned above is a covered loss on your homeowners policy, which is great news. 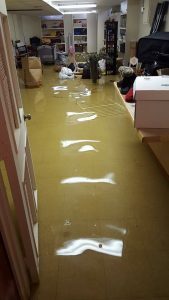 Water damage claims like mentioned above can disrupt your household for weeks and months while the home is being dried out, the areas damaged are demolished and the reconstruction begins. Water Damage claims are NO FUN!! 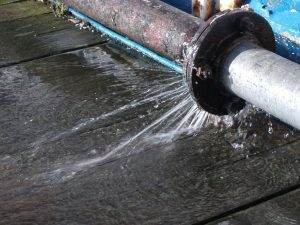 There are several products on the market (Google “Leak Detection Systems”) that can be installed on your water main and if a leak is detected can shut of the water. Many need to be used in conjunction with an alarm system or you need to place the sensors in places where a leak is likely to occur. A year or so ago I saw an awesome KickStarter campaign where someone designed a product to monitor the water flowing thru your water meter and automatically shut off the water main if it runs for a pre-determined amount of time. The cool thing about this product is it doesn’t need a plumber to install! You can check out the KickStarter campaign (which was successful) here http://kck.st/29RblxT. or the Water hero website is http://www.waterheroinc.com/ It looks like the product is in the final stages of development and should be available soon. I’m surely not the only one? If you have ever been absent minded like me and left the water running go ahead and a share your story! Misery loves company. Hopefully like me you were able to avoid a major disaster.